The Democrat partisan election officials in Broward and Palm Beach counties are not incompetent. They are saboteurs of the very election process they are supposed to protect. - They are intentionally, and deliberately, slow-walking their recount efforts. 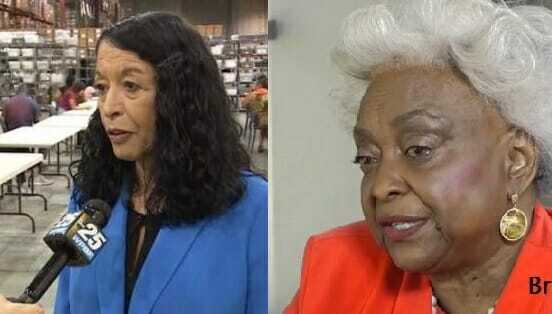 - Having failed to 'steal' the Florida election for Governor and Senator, they now want to force the election into the hands of lawyers and judges so they can try to 'steal' the election for the Democrats. 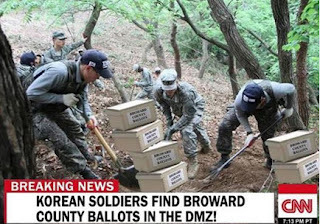 There are a lot of ballots still floating around, with fake news CNN reporting that Broward ballots have been found in Korea's DMZ. - Maybe the Democratic-Socialist hopeful for Governor of Georgia Stacy Abrams will 'unearth' some more ballots yet? Yeah, America really needs another Mike Tyson impersonator in elected office. The flagrant election-tampering in Arizona, Florida, and Georgia should be seen for what it is. - This is the 'beta test' and 'dry run' for more Democrat fuckery in 2020.